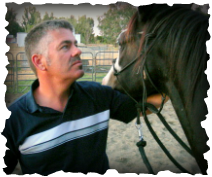 Care, Confidence & Connection Through Horses, Inc.
Steve is our Creative Director and Organizer of events besides being a horseman. trot and lope/canter when the rider asks for it and not until they ask for it. That is our goal." Steve enjoys riding all the horses and aims to evaluate and develop each horse according to their strengths and disciplines that best fit them. He believes every horse and rider should end their time together better than when they started. Kathleen is our Relations Development Coordinator. Her personality makes friends quickly with the people who come to the ranch. She literally rode her Grandpa's horse, "old Pete" for miles in Kansas when staying at his farm starting at an early age. "I love horses and will always love to ride, it's in my blood that's why my husband and I live on a ranch." 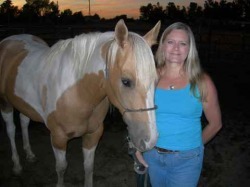 Kathleen enjoys the whole process of training horses and training people. She loves her students and loves to encourage their progress. She loves to work with riders of all ages. She teaches using the natural horsemanship method and that helps create a horse and rider partnership. She now wants to share her experience and help others become passionate about the equine experience. Steve and Kathleen are both excited and ready to receive beginning and intermediate riders who come as first timers or pick up where you left off. We look forward to helping you while you learn to ride. And again there is nothing like the experience of being on a horse. 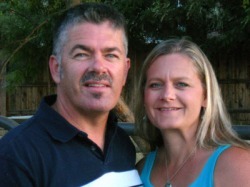 Bill and Paula are partnering with us on the ranch. They have been our close friends and have shared our dream for many years. 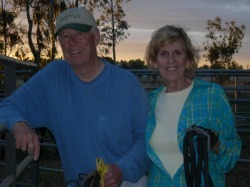 "We have bred and raised our family horses with the dream to use them and be able to share them with others!"